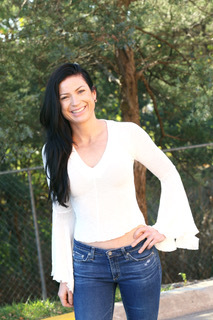 “Whitney came to me looking for a healthier, more fit lifestyle. She was switching from an active job as a nurse to more of a sedentary job and wanted to get a jump start before the decrease in activity got ahead of her. She had always been very conscious about the types and how much food she was putting in her body. However, she was not getting enough nutrition and had not been introduced to a regular weight lifting routine. 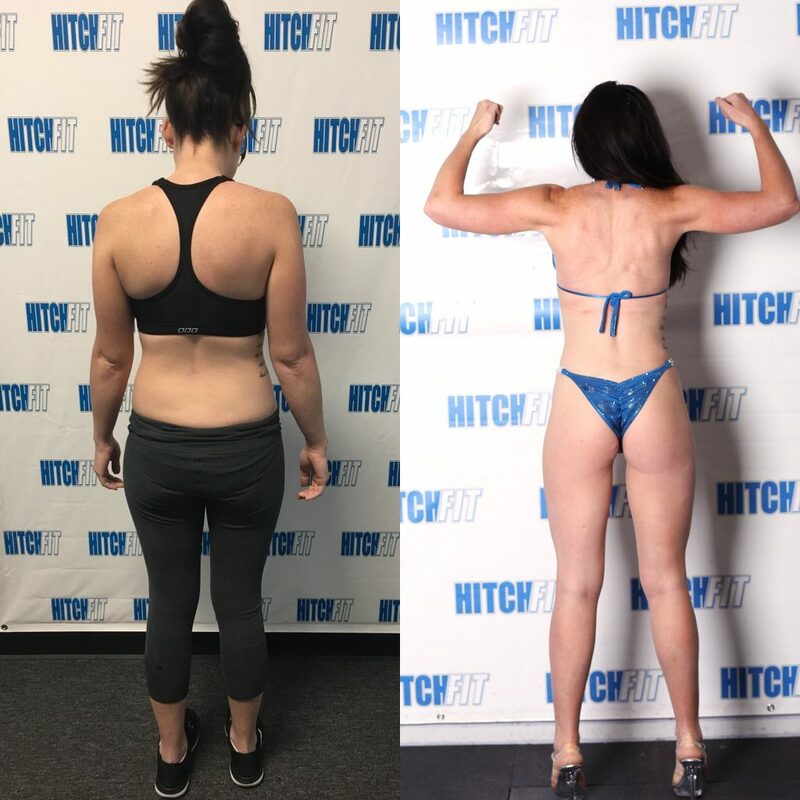 We started working on getting proper nutrition and lifting weights into her life and after about a month she told me she wanted to compete in a bikini competition in 15 weeks! We started right away on a short bulking period. 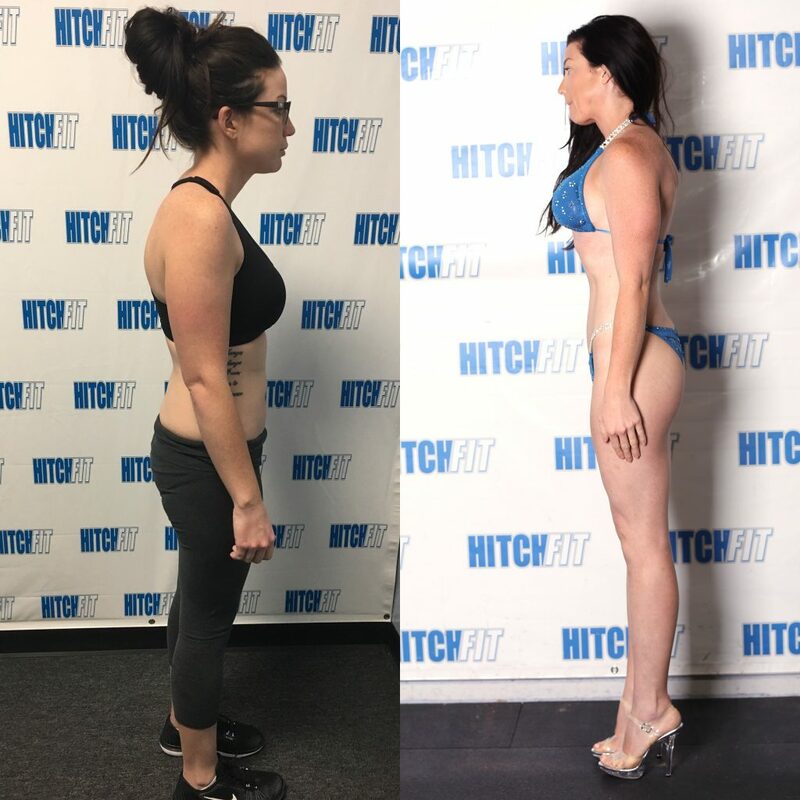 Whitney dropped 10% body fat and 13 pounds of fat during her competition prep. She put on muscle to give her a more athletic, fit look and became more confident in herself. Whitney also became much more confident in working out by herself in the gym and gained more knowledge on lifts and form. 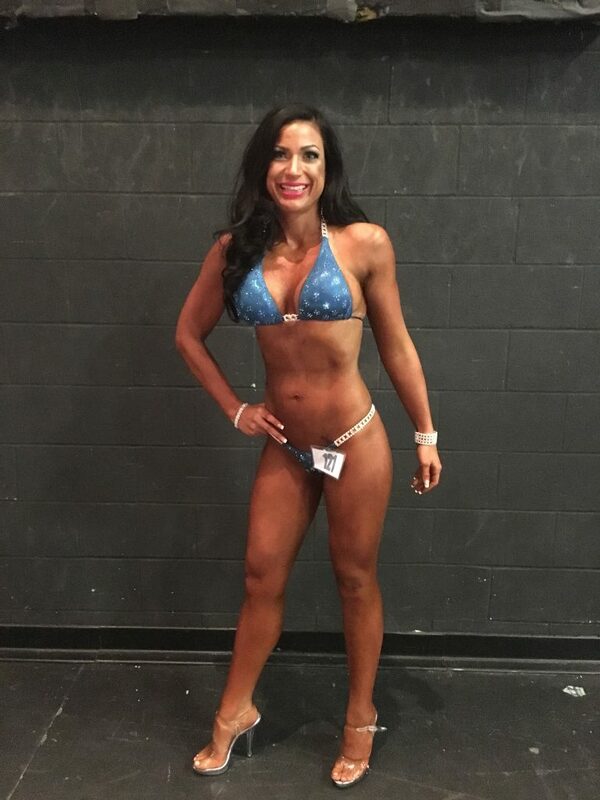 She did an amazing job in her bikini competition and she isn’t done yet. Whitney has a hunger to do more and become even better. We haven’t seen the last of her, yet, just watch! This summer, I was looking for some type of exercise that would keep me motivated and committed. Up until this point, I had been doing some exercise, on and off, but never was fully committed to exercise daily. I thought that limiting my calorie intake would be enough but I was starting to feel that I was becoming unhealthy and that, well, we’ll just say that my metabolism seemed to be slowing a little as the older I got. I had a couple friends that started with Hitch Fit, and I thought to myself maybe that is the motivation that I need. I gave it my all, loved it and my results were great. Amanda has taught me that you can eat a healthy balanced diet and not starve yourself to look fit. I feel amazing and have so much energy now. I strongly believe that if you are committed to making these changes, they will happen for you too.